Do you need to insulate your home or building in Washington, DC or Maryland? You have a number of different options—fiberglass batts are an option. It has been used as insulation material for decades and is one of the most commonly installed types of insulation today. Do you need fiberglass insulation services in Washington, DC or Maryland? Contact Accurate Insulation online or call our team at 301-358-6411 to get started today! What Are the Benefits of Fiberglass Insulation? Fiberglass batt insulation is available in pre-cut panels—and insulation batts with facing are available in various widths for basement walls and other places where the insulation may be left exposed. You can also install high-performance batt fiberglass insulation with a higher density and an R-value between 3.7 and 4.3 per inch of thickness. 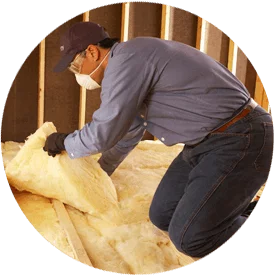 Fiberglass insulation is very popular because it is very easy to install, resists heat loss and can be installed in many areas in the home with little difficulty. When it comes to insulating your attic, walls, crawl space and other areas in your home, fiberglass insulation is the way to go. 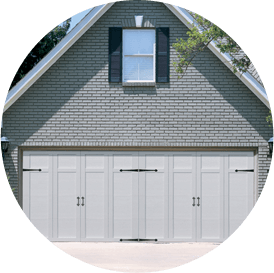 Are you ready to learn more about fiberglass batts or to request an estimate? Never ask “Where can I find a fiberglass batt installers near me?” again. If you need an insulation company in the Washington, DC or surrounding Maryland areas, call Accurate Insulation now—301-358-6411! The Accurate Insulation team installs high-quality fiberglass batts from Guardian Building Products. We serve the Upper Marlboro and Hagerstown (where our offices are) as well as Frederick, Baltimore, Annapolis, Washington, DC and surrounding areas. Guardian Staple Optional® products are designed for use in wood frame cavities. The friction fit application is recommended for vertical walls only. The stapling method is used when installing the insulation in the ceiling or horizontal wall applications. Staple Optional® kraft faced insulation batts can be used in any wood frame vertical wall application. Whether you’re installing batt insulation in your home or commercial building, it can help maximize energy efficiency, create a more comfortable interior environment and improve HVAC system performance. For all of your fiberglass insulation needs, call Accurate Insulation at 301-358-6411 or contact our insulation installers online! 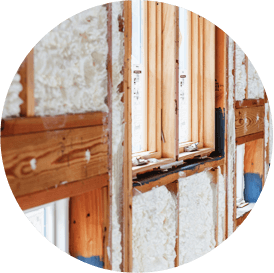 If you need to install batt insulation in your home or commercial building in Upper Marlboro, Hagerstown, DC or a surrounding area in Maryland, Accurate Insulation can help. In Maryland, we service the areas around Annapolis, Arnold, Baltimore, Beltsville, Bethesda, Bowie, Columbia, Crofton, Damascus, Davidsonville, Dundalk, Elkridge, Ellicott City, Gaithersburg, Germantown, Glen Burnie, Hagerstown, Huntingtown, Kettering, Mitchellville, Olney, Potomac, Prince Frederick, Rockville, Severna Park, Silver Spring, Suitland, Upper Marlboro, Waldorf and more. We also service Washington, DC! Contact our insulation company or call 301-358-6411 to learn more about our spray foam, batt and fiberglass insulation services in Maryland or Washington, DC!